Once you are ready to checkout with the items in your shopping bag, click on the checkout button in your shopping cart. During the check out stage, you will be able to fill in your shipping details, any existing promo codes and payment method. For Australian domestic orders, we use Australia post eParcel service. For international orders, we use Australia post International services or DHL Logistics International services. Orders over $49.00AUD will include a tracking number which may require the addressees signature. You will receive an order confirmation once your order has been successfully transmitted. In addition, a shipping confirmation e-mail will be sent once your order has been shipped. This confirmation will include the tracking number* for your package. *Tracking numbers are only included on orders over $49.00 AUD (signature from the addressee may be required). All pre-order items are expected to be shipped in late February 2018, you will automatically receive updates on the schedule when you check out. Orders placed Monday-Friday before 12 PM AEST usually ship within 2-3 business days pending availability and credit verification. Orders placed on Friday after 12 PM AEST will begin processing within the next following 2-3 business working days. We will contact you with a follow-up email if the merchandise you have selected is not currently in stock or if we need additional identification provided for credit verification. We do not offer Saturday or Sunday delivery. *DELIVERY TIME DOES NOT INCLUDE SATURDAYS, SUNDAYS OR AUSTRALIAN PUBLIC HOLIDAYS. For more details, please refer to our Shipping and Delivery section. WHAT ARE THE TERMS FOR STORE CREDIT? - Please treat store credit like cash. - Store credit is provided in the currency in which you paid. - Your use of store credit constitutes your agreement to our Terms & Conditions. Feel free to contact us by emailing hello@comen.co or filling out the Contact us form linked here. We try our best to send out your packages on time every day. We aim to dispatch orders placed before 12 PM AEST on weekdays within 72 hours pending availability and credit verification. Orders placed on Fridays and weekends will be processed within the following 2-3 business working days. Please take care to fill out your full name at checkout, including first and last name to prevent any postal delays. Once a package has left our office we have very little control over it. As our delivery times listed are only estimates, Co. Men is not responsible for any delays caused by the courier, especially during high-volume periods. Co. Men can never guarantee a delivery date. Please note delivery time does not include Saturdays, Sundays, Australian public holidays or Pre-order items. Tracking numbers* will be supplied once your order has been processed. Delivery times may vary for those in rural areas. Standard shipping – usually takes around 5 to 10 business days to deliver after orders have been processed and shipped. Delivery times will vary depending on country. Tracking numbers* will be supplied once your order has been processed. Orders shipping to destinations outside Australia may be subjected to import taxes, customs/duties and fees levied by the destination country. All applicable customs and import duties and fees, taxes and any other charges are the responsibility of the customer, even if you refuse the shipment upon delivery. it is up to you to ensure that you comply with your local custom policies. If you refuse to pay any additional fees, your package will be sent back to us and you will be refunded the cost of your order minus any extra shipping charges incurred by us from the courier. Please contact us at hello@comen.co for any postage enquiries. At Co. Men our team undertake product quality control before we send your product out. However we understand that mistakes happen or you have a change of mind, therefore if there is a fault in your purchase we offer returns for refund within 18 days of customer receiving the order (for full-priced items only). If you want to return a purchase due to change of mind, we offer returns for a life-time store credit within 18 days of customer receiving the order. Items must be returned in original gift box and packaging. Please note if you paid for shipping at the time of your original order, you will not be credited the cost of shipping when we receive your return. 1. Email us at hello@comen.co to let us know you’d like to return or exchange your item(s). - Please provide your order number, and the items you are returning or exchanging. - Please provide a tracking number. 2. Send your item to the return address we provide you in our reply. Customers are urged to purchase tracking of their return. If the parcel is lost on its way to us, our Customer Service team will have limited compensation options. 3. Once we receive your returned item(s), we’ll process it within 5 business days - however in high volume periods, especially around the holidays, could cause delays. We apologise for any inconvenience. Exchange, Returns and/or Refunds: Buyer pays for any additional shipping costs that is required to fulfil appropriate policy. Our standard warranty covers item faults for 3 months from the purchase date. Our premium warranty covers item faults for 1 year from the purchase date. - Warranty claims will follow the 'Exchange and Refund Policy' linked here. 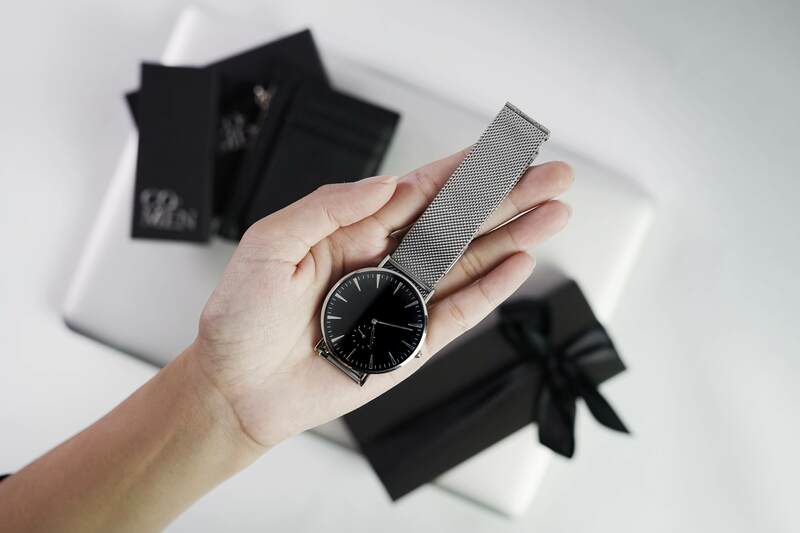 The CM Classic Watch comes with 'Premium Warranty' which is 1 year warranty from the purchase date. Warranty claims for the CM Classic Watch will also follow the 'Exchange and Refund Policy' linked here. - Please note the warranty covers the hands, dial and watch movement. If the watch proves to be defective in material or workmanship under normal use, it will be repaired or replaced free of charge at our discretion. w e t h i n k y o u e q u a l l y d e s e r v e t h o u g h t f u l p a c k a g i n g .
Unlike standard cardholders, The Co. Men Zip Cardholder is the most versatile and thoughtful accessory you will ever own. Our design, colour and information is the sole communicator of our brand essence. We start with genuine saffiano leather lined with RFID protection, ensuring a long-lasting cardholder that always keeps your information secure. 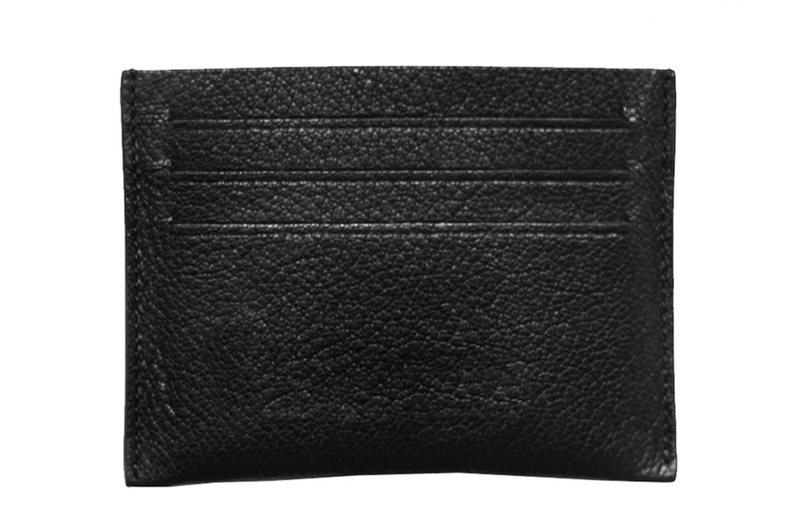 Unlike standard cardholders, we add a unique zip compartment, so your loose items such as coins and keys will never get lost again. 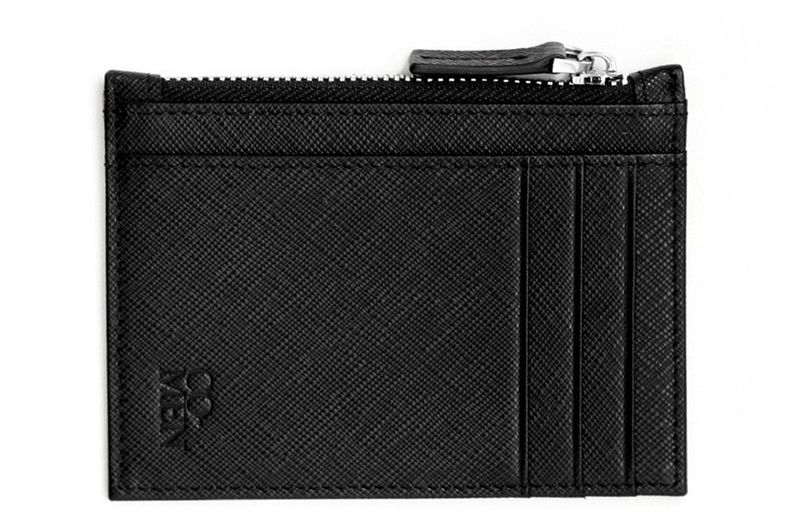 Lastly, we make sure that the finish is slim and compact, helping you stay organised. 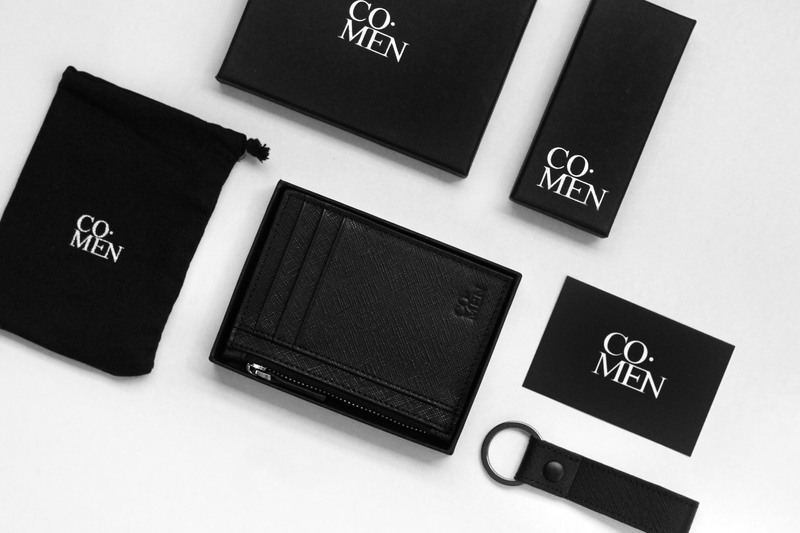 Discover the Co. Men difference for yourself. The CM Classic watch gives you the versatility to update your style to suit every occasion. Here at Co. Men, we have carefully selected materials to not only simplify the use of our products, but combine it with durability. Our range of interchangeable straps features a quick release technology that will make updating your straps quick and easy without requiring tools. Watch the video guides below to find out how to change and adjust your straps within a few seconds. This website is operated by Co. Men. Throughout the site, the terms “we”, “us” and “our” refer to Co. Men. Co. Men offers this website, including all information, tools and services available from this site to you, the user, conditioned upon your acceptance of all terms, conditions, policies and notices stated here. Our store is hosted on Big Cartel . They provide us with the online e-commerce platform that allows us to sell our products and services to you. In no case shall Co. Men, our directors, officers, employees, affiliates, agents, contractors, interns, suppliers, service providers or licensors be liable for any injury, loss, claim, or any direct, indirect, incidental, punitive, special, or consequential damages of any kind, including, without limitation lost profits, lost revenue, lost savings, loss of data, replacement costs, or any similar damages, whether based in contract, tort (including negligence), strict liability or otherwise, arising from your use of any of the service or any products procured using the service, or for any other claim related in any way to your use of the service or any product, including, but not limited to, any errors or omissions in any content, or any loss or damage of any kind incurred as a result of the use of the service or any content (or product) posted, transmitted, or otherwise made available via the service, even if advised of their possibility. Because some states or jurisdictions do not allow the exclusion or the limitation of liability for consequential or incidental damages, in such states or jurisdictions, our liability shall be limited to the maximum extent permitted by law. You agree to indemnify, defend and hold harmless to Co. Men and our parent, subsidiaries, affiliates, partners, officers, directors, agents, contractors, licensors, service providers, subcontractors, suppliers, interns and employees, harmless from any claim or demand, including reasonable attorneys’ fees, made by any third-party due to or arising out of your breach of these Terms of Service or the documents they incorporate by reference, or your violation of any law or the rights of a third-party. These Terms of Service and any separate agreements whereby we provide you Services shall be governed by and construed in accordance with the laws of the Australian Competition and Consumer Commission (ACCC). Questions about the Terms of Service should be sent to us at hello@comen.co. Orders that are shipped to countries outside the Australia may be subject to import taxes, customs duties, and fees levied by the destination country, as well as delivery delays due to required customs clearance procedures. All import taxes, customs duties, and fees are the responsibility of the recipient.